Collecting art is a lot of fun, but hanging it when you get home is a little more complicated. Fortunately, there are options available. If you’re worried about your walls, here are five easy ways you can hang artwork in your home without using nails. There are a wide variety of adhesive hooks and strips available that have the capacity to hold the weight of a framed picture. Well, some framed pictures. If you’re hanging a 10-foot by 10-foot Renaissance masterpiece, you might not want to use the same sticky hooks you use for holiday stockings. But, if you want to hang a light-weight painting, you should be able to find an adhesive solution to meet your needs. Just be sure that you check the weight rating for any adhesive product you use, and don’t be afraid to use multiple hooks or strips. However, until you’re a little more confident with your framing adhesives, maybe don’t hang your first test directly over your bed or collection of rare porcelain figures. If you live in an older house or apartment, you might be lucky enough to have that great picture rail molding along the tops of your walls. If you do, don’t be afraid to use it. 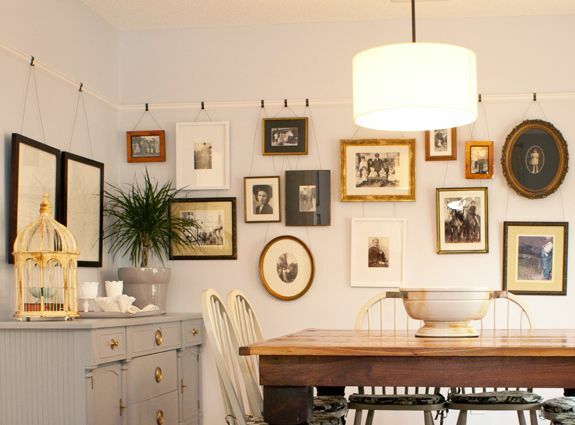 You just have to purchase special, inexpensive hooks that fit over the rail and then adjust lengths of framing wire to get the picture hanging exactly where you want it. Is it simple? No, but it will keep your walls pristine, it’s a great way to hang artwork without using nails, and, when done correctly, looks fantastic. Fireplace mantels are often cluttered with family photos and knick-knacks but they can also become an amazing showcase for dramatic works of art. The theory is simple—just place your framed artwork on the mantel, lean it back, and enjoy. 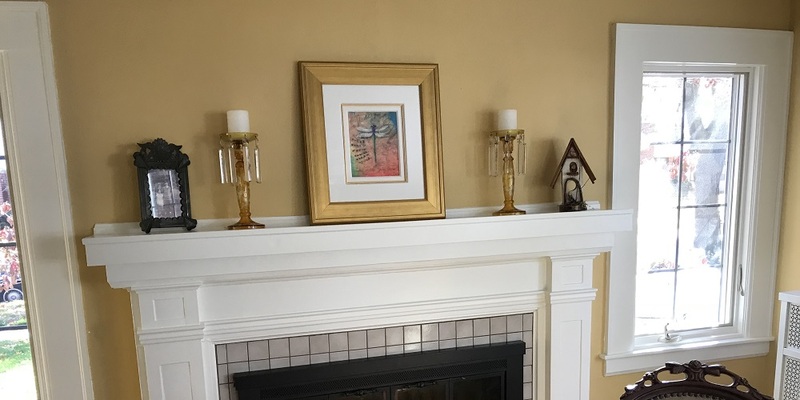 That said, if you regularly use your fireplace, you will definitely want to make sure the temperature above the mantel won’t damage the artwork. 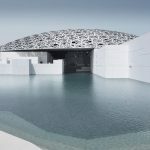 According to Luis Navarro, the Plant Manager for Park West Florida, monitoring a room’s temperature and humidity are essential when it comes to protecting a work of art. Keep the temperature within normal ranges and try to keep the humidity around 55 percent. This option works best for smaller framed works. 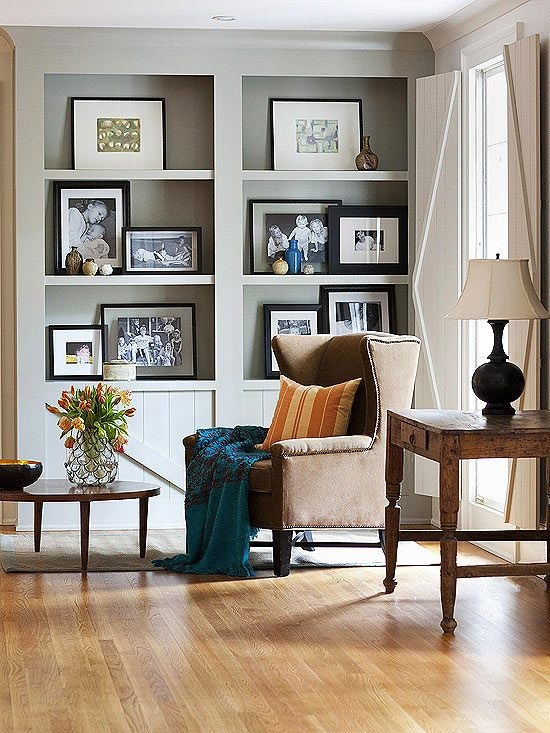 If you’re trying to protect your walls, you can kick your books off your bookshelves and use that shelving unit as a dramatic, multi-level showcase for your smaller works of art. Many stores offer bookshelves that come with a variety of adjustable shelf options, which will give you many different display configurations to choose from. An onboard art auction being conducted. 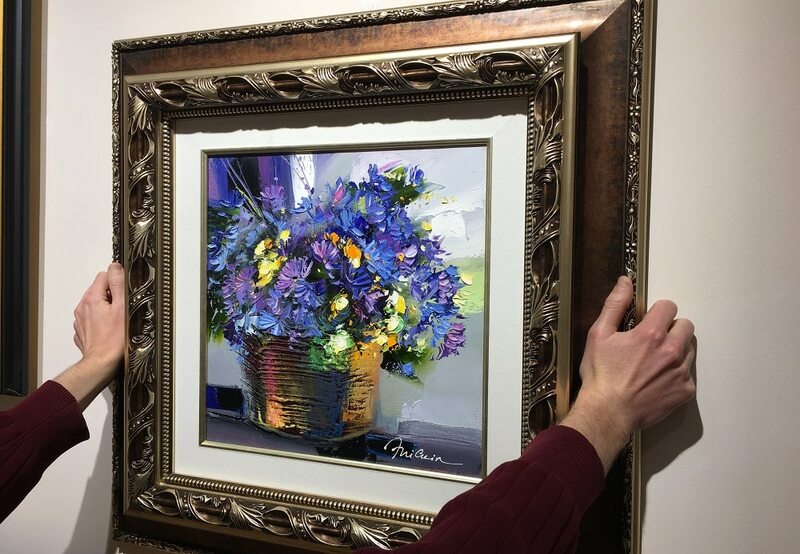 If you collected artwork at a Park West Gallery art auction, your first introduction to that work may have been viewing it on an easel next to the auctioneer. This may sound crazy, but why not replicate that experience at home? 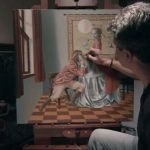 It may not be practical to have easels cluttering up your living room, but, if there is one special artwork you just love and want it to be a centerpiece in your house, placing it on an easel might be an unusual, but effective way to display it. 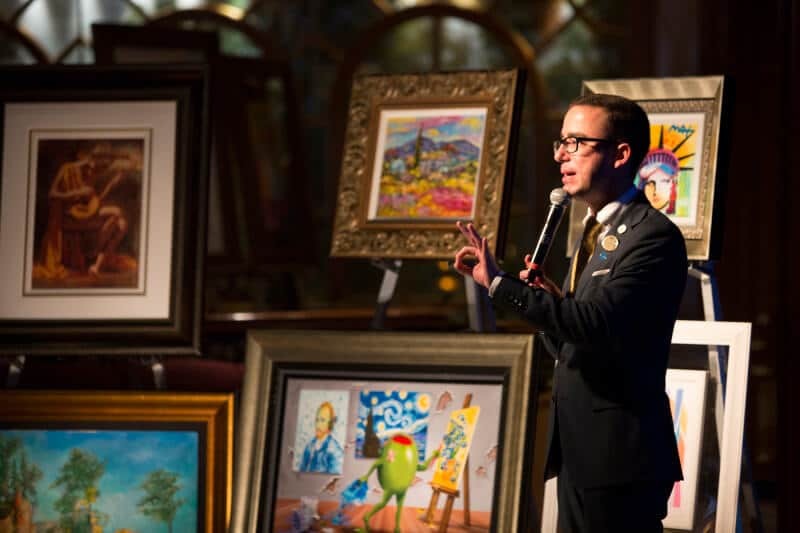 If you want to know more about the exciting world of art collecting, you can join Park West Gallery’s community of enthusiastic art collectors by contacting a gallery consultant or cruising alongside Park West on more than 100 cruise ships worldwide.